A woman, described as elderly, has been airlifted to hospital following a very serious crash on the A605 near Oundle. The East of England Ambulance Service said she has suffered life-threatening injuries and has been airlifted to Addenbrooke’s Hospital in Cambridge by Magpas for further care. The woman was driving a car which was involved in a collision with a DAF lorry on the A605 at the Elton junction, the B671, at 10.20am. The lorry driver, a man, suffered an arm injury, but did not require transport to hospital. 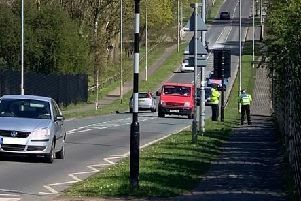 The road was closed between Elton and the Warmington roundabout for several hours before being reopened at around 3.45pm. Fire crews, the Magpas air ambulance and East of England Ambulance service paramedics also attended the scene along with Highways England as a road sign was damaged. The collision took place at the same location as a double fatal collision on Sunday.